Helping you to keep hold of your phone.... PhoneHug® fits the majority of smartphones, made from quality food grade silicone, the robust phone holder stretches around the top and bottom of your phone, securing it tightly. The strong loop at the base connects to a carabiner and a lanyard, which connects to you, or your belt loop, or bag, or just hang it up! 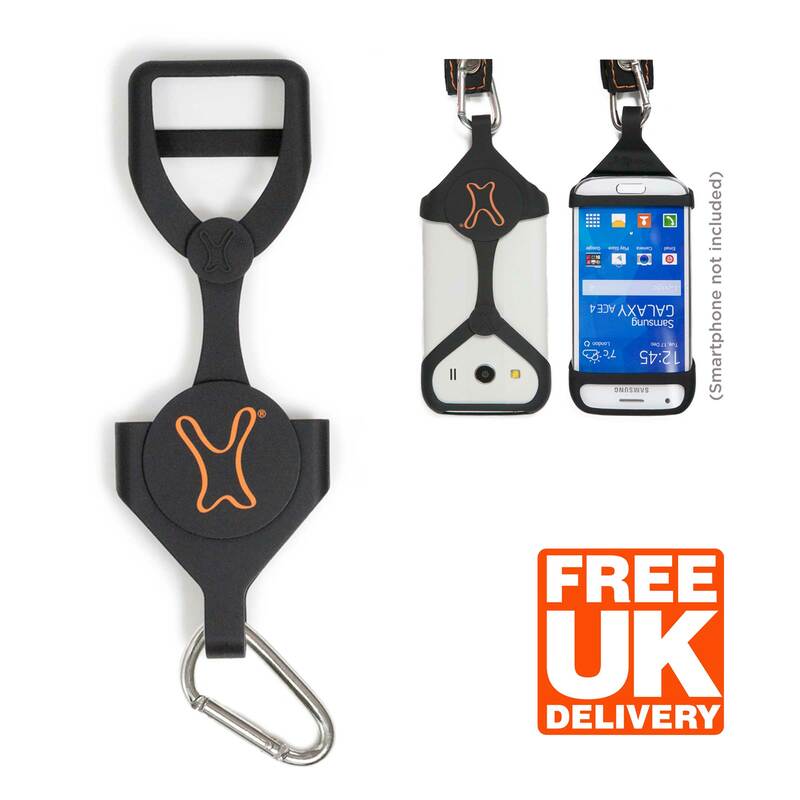 Perfect for festivals, walking, sailing, snow sports, walking down the street, infact anywhere that you would like to keep hold of your phone. Helping you to prevent damage, loss and theft of your phone. Love your phone, Hug it!